cold and barren wasteland is a great scenery for thrilling combats. 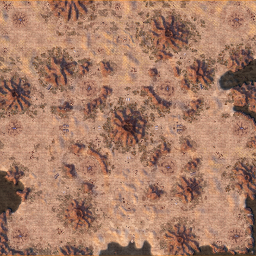 It is an barren and dry landscape that invites you to test your skills in combat. 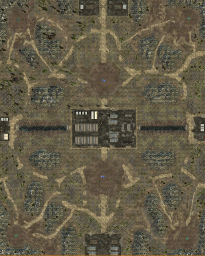 Capture and hold the central tiberium field to secure ample recources for your warfare. The red desert of the outback provides a distinct atmosphere for great battles. Winter has arrived in this former blooming landscape which has turned into a solitary and abandonded territory; but still with a stunning scenery. The wind blows howling over the bizarre formed desert landscape which is dimly illuminated by a ghostly light. 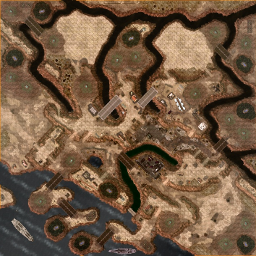 Battle Zone is a spacious 2 player map with a hilly landscape traversed by small rivers. 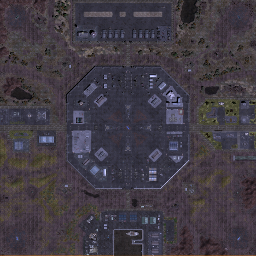 My first released 1v1 map that takes place in an abandoned redzone settlement, which is now taken over by the Forgotten. A mutant hovel and blue tib field sit on either side of the map, along with tib spikes. A green tib field sits in the center. May the best win! 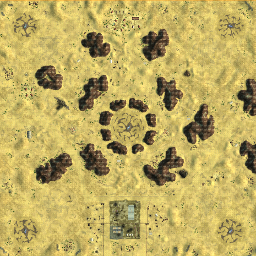 This is a 4-player map that depicts yellow zone Bosnia. 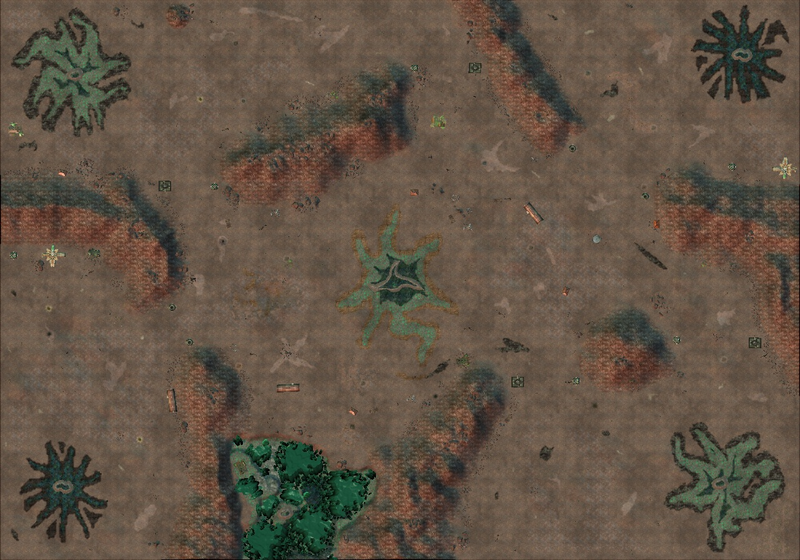 It's a remake of the C&C Tiberian Sun map that I created long time ago. Tiberium is plentiful. Good amount of room to build and expand. 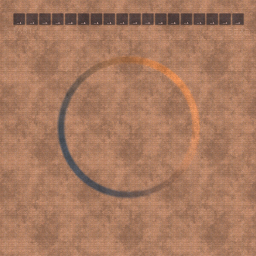 This map is adapted for 8 players. Basically you just need to kill all the enemy units to win. There's several stages to beat, so use your special powers to your advantage; otherwise you will lose! I really enjoyed this map and I know you guys will also like it!